“Ah, the romance of historical fiction! Gas lamps spill their soft light on cobblestone streets as jolly coachmen deposit travelers at snow-covered inns where suckling pigs roast above blazing hearths. Oops — wrong book. 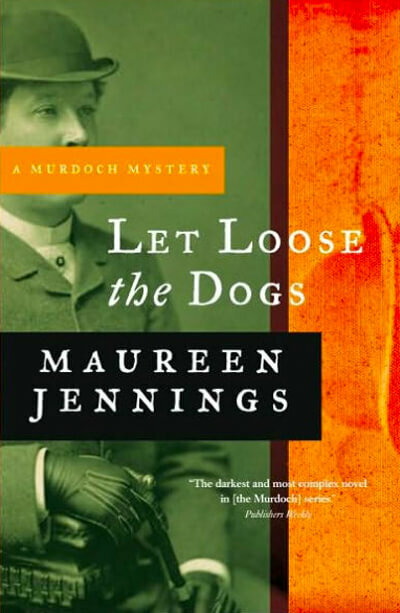 You’ll never find a scene like that in Maureen Jennings’s late-Victorian mysteries featuring William Murdoch, a good-hearted but perpetually mournful detective with the Toronto police force. Life is harsh, men are brutal, and everyone dies young in this unsentimental series, which thrives on its realistic treatment of subjects like the bloody rat-killing match that opens LET LOOSE THE DOGS (Thomas Dunne/St. Martin’s Minotaur, $24.95).